International Owl and Pussycat Day, the 12th of May 2017 last week was the anniversary of Edward Lear’s 205th Birthday. To celebrate, my small birthday gift this year to Edward Lear are three pages from a book of his own limericks. These three musty old pages have been torn out and the balck and white illustrations by Edward Lear have been hand-painted by one WLA on 5.12.93. This is presumably Tuesday the 5th of December 93 (probably 1893? ), five years after Edward Lear died in 1888.
Who knows why these were painted or ripped out or who WLA was? Enjoy their colourful Victorian watercolour efforts anyway. Read past blogposts for ideas on celebrating Lear’s Birthday or using nonsense verses for literacy fun in schools. The ever interesting “Interesting Literature” Blog by Oliver Tearle this weeks features an analysis of interest to teachers and older secondary and A level / degree students of the nation’s favourite poem “The Owl and The Pussycat” by Edward Lear. Does it mean anything at all? Many interesting points raised about or by this rewarding and intriguing ‘nonsense’ (or is it?) poem. Happy 204th birthday Edward Lear! 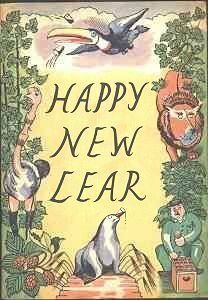 What nonsense and bosh to mark Edward Lear’s 204th birthday! Three ways to celebrate this year’s International Owl and Pussycat Day 2016 to mark Edward Lear’s birthday on 12 May. You could read the famous and favourite poem in whatever language you choose! 2. You could sort back here through years of occasional blogposts for lots of ideas for celebrating or teaching nonsense! 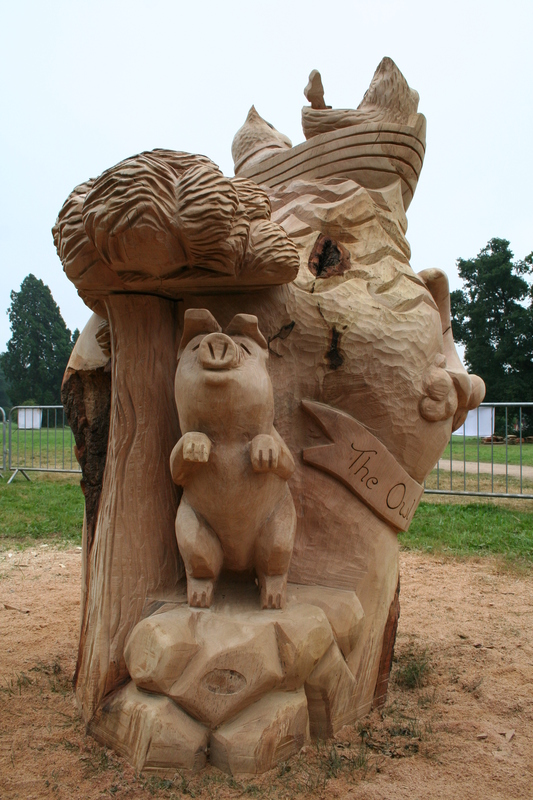 Celebrate wildlife however weird, wacky or fantastical. The Bank of England website has a competition to nominate a British visual artist for the new £20 note – why not add your vote for Edward Lear? £20 note character nominations close on Sunday 19 July 2015. Because he was a scientific illustrator of animals, doodler of nonsense Limerick illustrations and a man with a beard and facial hair that would make such a banknote hard to counterfeit or forge! on a £20 note – imagine that! Happy 203rd Birthday Mr Lear – it’s International Owl and Pussycat Day again! 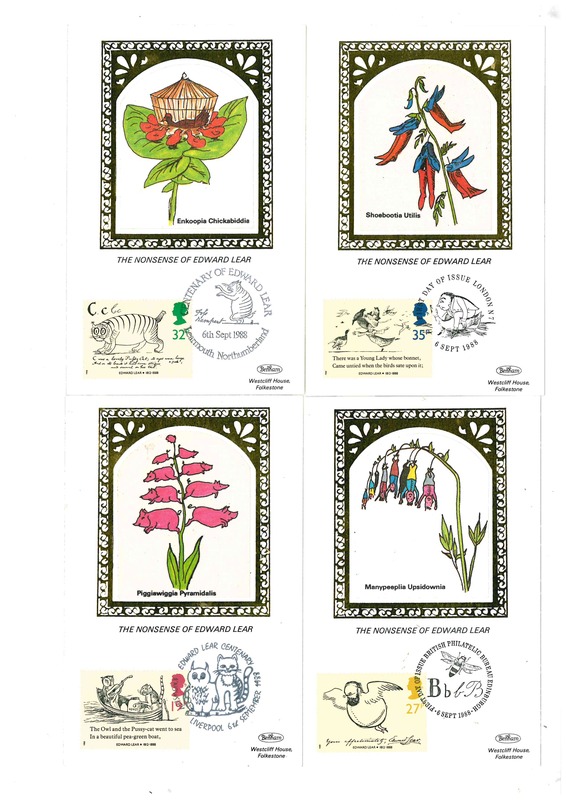 A beautiful little something from our collection, using the 1988 centenary stamps and a great Owl and Pussycat postmark! 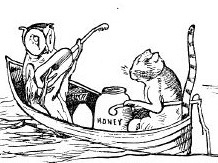 Find out more about Edward Lear, his famous poems and teaching and literacy ideas on the links and previous posts of this blog. 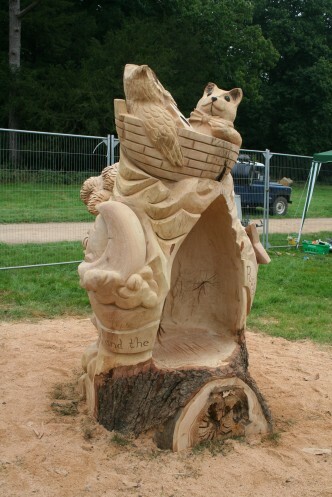 After chatting online to Forestry Commission colleagues at Westonbirt, I came across these fabulous pictures of The Owl and the Pussycat carved from a tree trunk by David Lucas. 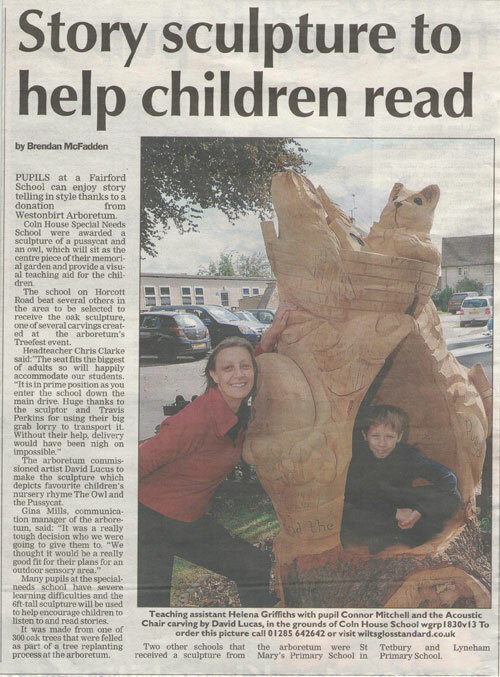 It was carved as part of Treefest 2013 and has now apparently been donated to Coln House School for their sensory area. Lucky school! I’ve sat in some good storytelling cahirs in schools and school grounds in the past, talking about animals but these really are magnificent!